Let’s put this in the front: nobody here works for openHAB. The community members are helping with an Open Source Project, not a commercial software. Additionally, the forum is NOT dealing with general Home Automation topics, the focus is on openHAB. In some cases, various products or technologies which are not directly linked to openHAB can be discussed but with the proper title, category or tag. We are ALL volunteering our free time to help others and as much as it pains to say it, not all topics might get a satisfying answer. Check the Search functionality. There’s a high chance that someone already asked a similar question and the answer is just waiting for you. It might not work exactly as you need, but most of the common scenarios have already been covered. Yes, you may need to alter the code/configuration a little bit, but that’s just part of the work. Also keep in mind that when you’re writing a new topic, on the right side (where the Preview panel is) you will see topic suggestions. These are matched by your topic, tags and post content. Check them out before you post. If you do find a solution to your problem, consider dropping that post a like - it will help also with further searches for other users as well as notify the person that wrote that it helped someone. So how do I search correctly? Try to search only for what is the essence of a question - error message (without your use case specific data), binding name, operation you want to perform, data type you’re struggling with. I found a similar topic but it’s already solved and I still have a problem. Should I post in it? That is sometimes tough to decide. As a rule of thumb - no. What you could do, is to post your question in a new topic and put a link to the topic you found (see also Show effort below). Did you read and search the docs ? OpenHAB docs are at https://www.openhab.org/docs/ . There’s at least a couple of pages you should know before asking such as the concepts, New User Tutorial and configuration principles. Note searching the forum will not yield any results from the docs, but there’s a search function on the docs pages, too. Most categories are self explanatory, so you shouldn’t have much trouble in choosing one. Having a good topic title is essential. It should summarize your issue or question so that without even opening the topic people can have a good, general idea of what is inside. Good How do I use a timer is a rule to delay an action? If you’re having a problem writing a good topic title, leave it for last - once you’ve written the whole question, it might be easier to write a summary title for it. While we’re with the topic, let’s cover the tags as well as they complement each other. Tags are added to a topic to help with search, as well as give additional context to people reading your question. Common tags include zwave, mqtt, HABpanel, rules etc. It is vital to give as much detail as needed for people to understand what you’re struggling with and also what are you trying to accomplish. The latter part is crucial to avoid asking a XY Problem. As stated at the beginning, this is a community forum. If you don’t show any effort from your side, be prepared that your question might be ignored. Posting links to similar topics that you’ve found through search - it shows that you already tried to find a solution and also what have you tried before asking, so you won’t get answers/links to things that already didn’t work for your situation. Try to reproduce the problem, i.e. try find out what changes trigger the problem and which ones make it disappear. Describing what you tried - topics that state the problem and straight up ask for a solution are often ignored (“I need to write a rule like this. Please give me a solution.”), because why anyone should give their free time to someone who couldn’t spend a couple minutes showing that they care? What version of openHAB are you using? What snapshot version (if relevant)? Are you Windows, iOS or Linux? If Linux, is it natively or in Docker/Vm? try going back in your mind and logs to determine when your system was still working properly and when you noticed for the first time that your problem happened. explain ALL changes you made between those points in time - not just the last one. Quite often the reason isn’t what you believe it to be. Generate logfiles showing the problem and what happens right before that. Post the logs (the relevant part from openhab.log usually) using code fences (see next paragraph). The more you describe about how it’s setup and what it is doing, the easier it will be to reproduce or drill down what might be causing your problem. 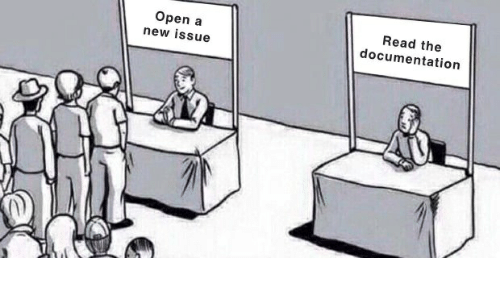 Especially for code samples. This thread should give you a quick rundown of how to format your text. Remember to split text into paragraphs and include white-space. For new users that can’t yet attach files, at least paste a screenshot or put your code in an external site (e.g. on pastebin. But the thing is, if you’ve searched before posting you probably already unlocked the Basic level and thus shouldn’t hit this limitation at all. Yes, the whole thing - check if topic is descriptive, tags are appropriate and that the question makes sense and actually asks what you want it to ask. Having good grammar and spelling helps, but since not everyone is a native English speaker (most of us aren’t), at least check if there are some glaring errors. Punctuation and white-space also helps a lot. Should I mention people in the post? It’s seen as bad manners and is essentially demanding an answer from someone. At least in the initial post. In a bump, maybe, but that also depends on the person on the other end. At the very least if you do mention someone in the post using @someusername, be polite. Remember, we’re all volunteers here. Since there are users from all over the world, answers and questions come basically 24/7, but the actual time when you’ll get one is undetermined. If the topic has been open for a longer period and noone responded, reread your post and title. Maybe you could improve it (remember that you can always edit your posts). If you think it’s all good, consider giving it a bump - that is post a reply there to make it visible. Sometimes there’s a lot of traffic on the forums and people that know an answer to your question might’ve just missed it. Do note that if you overuse it, it might give the opposite effect of showing you as an entitled person and thus drive people away. If you think it will be valuable, post it in your topic and mark it as solved. It might help someone else that will find your post later. This is what can happen a lot. See what the poster mentioned and if it brings you closer to a solution, mention it in your reply. It will make them feel that replying to you was worth their time investment and they will most probably stick with you to solve the issue completely or even involve other people they know to help. If someone posted a solution to your question, mark it as such (there’s a checkbox in the bottom of that post for that). If someone’s posts help arrive at the solution, consider dropping them a like. As with everything, don’t spam it, but a little appreciation goes a long way. Remember - there is no guarantee that you’ll get an answer, as noone is required to give you one. All you can do is provide a good, thought through, interesting question. Usually that’s more than enough to get people to help you. In time you should find it easier to write good questions and hopefully also answer some from other users. [SOLVED] How to get the hue secret key in OH2? How to add a secondary controller for Zwave binding? What am I doing wrong with zwave? [SOLVED] How to create a Timer to switch off a light? CalDav not working with all-day events? OH1 to OH2 migration - Z-Wave devices? [SOLVED] Persistence with InfluxDB not storing data? openHAB on orange pi zero? [SOLVED] [MQTTv2] MqttBroker connection configuration faulty: host : You need to provide a hostname/IP! Aqara Hub v3 Developer Key? [SOLVED] Could not cast wattage to DecimalType or Number for comparison? Corrupt FileSystems every 2-3 month? How to upgrade Z-Wave plugin but keep rest of OH intact? [SOLVED]How does a dimmer work? If I were to change the title it would be something like “How to Help Yourself”, but honestly I think the title fits just fine. One of the biggest reasons I visit the forum each day is to help others. Do I get frustrated sometimes, having to ask the same basic questions, sure I do. It’s just one of those things I have to accept and press on. I don’t always have the answer, and I’m far from being able to explain things like @vzorglub, @rlkoshak, @Dim, @Udo_Hartmann, etc…, but it’s a great feeling when my small contribution does help. We have a great community, keep up the hard (and sometimes redundant, ) work! You’ll get there with time. Sometimes its hard to see how far one has come themselves. You are doing great and it is appreciated! I like it. Can we have a multi title? It’s always nice to know, however small the contribution may be, it doesn’t go unnoticed. You’ve always done a great job at pointing this out, not just me, for everyone. Some forums allow for much of this info to appear in posters signature. An idea for this forum as well? And how to link to that so that only that info is shown? I only found an About me entry in my profile preferences. If you click the persons picture once, then click on the picture again it will show what the user has entered in their “About me” profile. Try it out, click my image then click on it again and you should see my profile. EDIT: I just click my own picture once and was able to see the “About me” profile. Try it out, click my image then click on it again and you should see my profile. IMHO, that’s a great place to enter your platform, OH version, etc… If everyone did something similar that could be a good way to prevent asking each person the same (some of the same) basic questions. hat could be a good way to prevent asking each person the same (some of the same) basic questions. Yes, my eye’s bleed sometimes. All we can do is try, and maybe start a trend that benefits everyone. EDIT: Just edited my profile to highlight my OH setup and some devices used. I thought about adding all binding used but not sure if that’s needed, I’ll think on that some more. Perhaps @vzorglub has some input, or a good template, to keep it standard across the board? Look at mine. Not much. Just the essential. This is not really practical for helping users, especially new users. As a helper, I don’t want to click to another page to find out the background. I was thinking more along the lines of using this as a way to help the helper. For someone who types slow, like myself, it’s easier/faster to make a few clicks. This could also reduce the amount of typing for the user asking the question, assuming there will be more than a single question, especially the slow fingered users (like me again, ). I agree 100% I’m just trying to view it from both sides, hoping to find a happy medium. Could you please add a screenshot of this?